Despite never hitting more than 12 home runs in a season, during baseball's deadball era Baker was a slugger supreme. 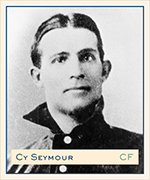 He led the Al in home runs from 1911 to 1914. 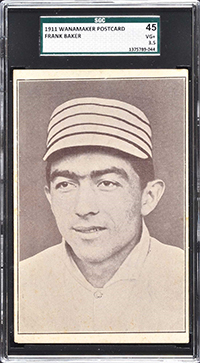 His two World Series home runs earned him his "Home Run" nickname. In six World Series with the A's and Yankees, he hit .363. 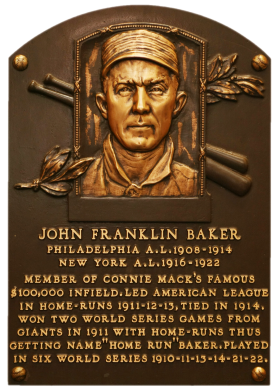 Frank Baker had 1,013 RBI in his career. 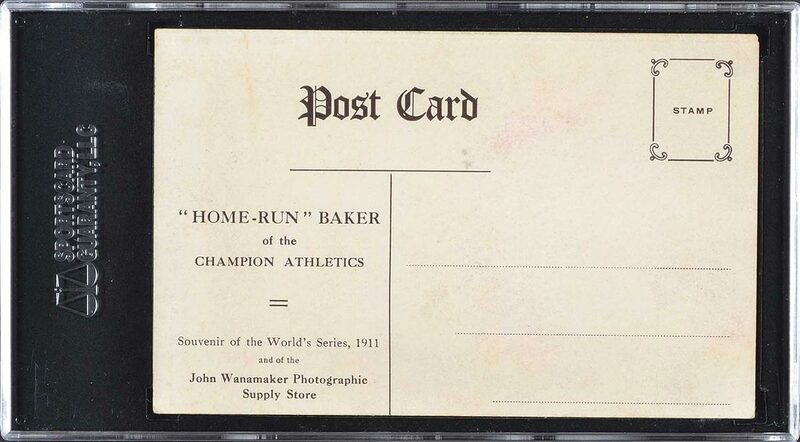 Comments: My first Home Run Baker card was a M116 PSA 4 purchased on eBay in May, 2003. 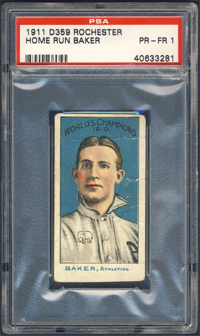 I swapped it out for a 1915 Cracker Jack PSA 3 after winning another eBay auction in July, 2004. 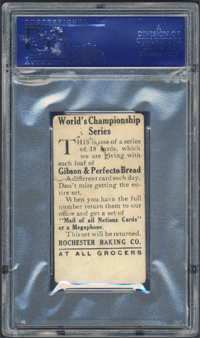 In January, 2007 I made another change when I purchased a trimmed copy of a 1911 D359 Rochester Baking card off the Net54 board from hobby friend Zach Rice. 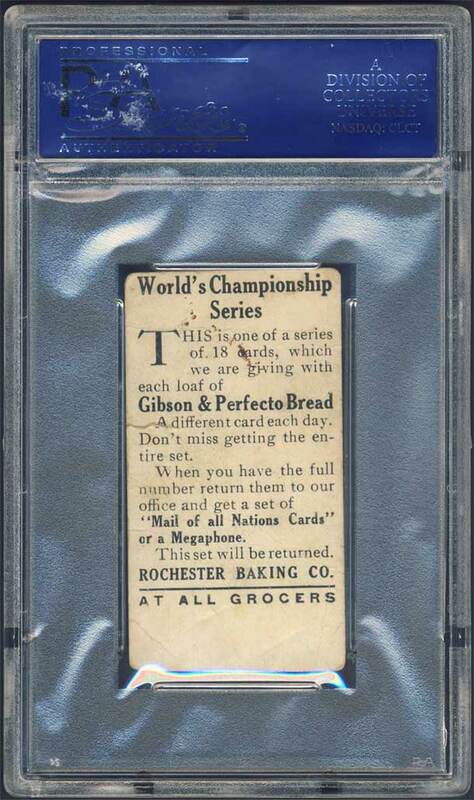 Three months later the card was submitted to PSA and graded "Authentic". But, I really wanted an example with a numeric grade. 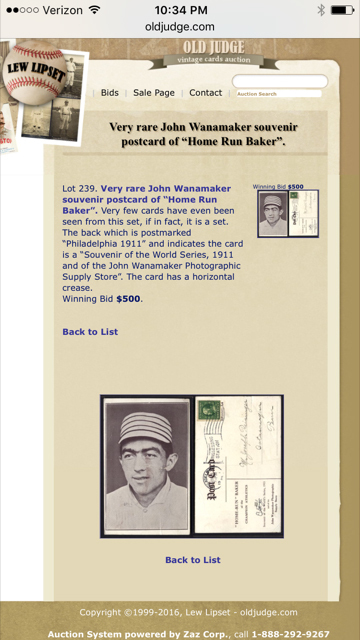 In June, 2008 my wish came true when I found and won a PSA 1 example in the Brockelman/Luckey auction. It has some flaws - wrinkles and light creasing - but still has a nice look overall. Back is fairly clean too. 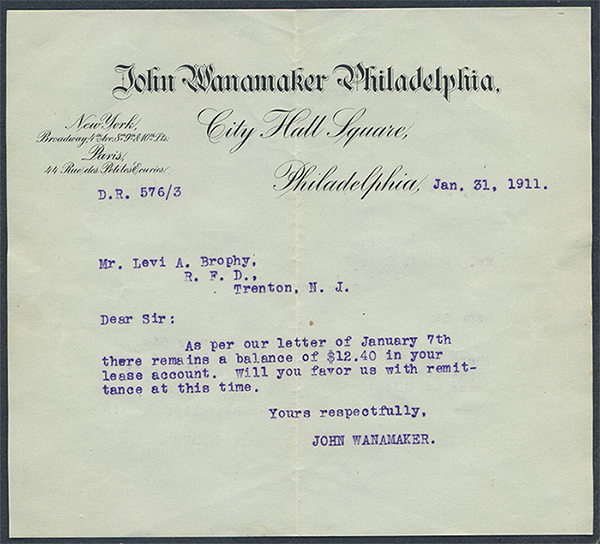 My curiosity pushed me to dig a little further and I learned my example came from the Dan Gantt collection. REA had been selling off one of the premier baseball card type collections ever assembled over the past few auctions, and it included this 1911 Wanamaker card. 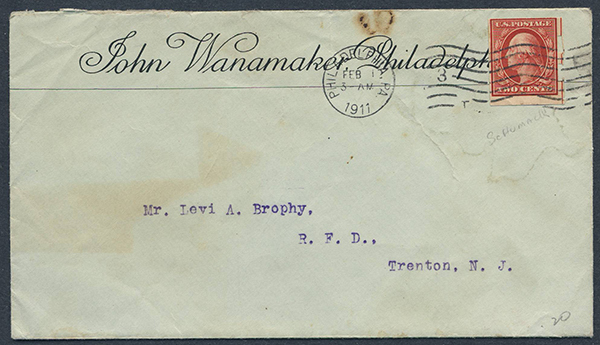 I tried to get in touch with the former owner to learn more about it's history but never heard back. Oh well, now it's mine!